A 100 pandas is an online IGT game. Just like the versions of Wolf Run and Wild Wolf from the same company, a 100 pandas is exciting and action packed. 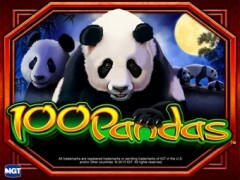 As the name suggests, a 100 pandas is a game with 100 paylines. It includes stacked wilds in the base game and also in the free spin bonus, where you get ten free spins which are triggered by getting the chi bonus symbol on reels 2, 3 and 4. You can get extra stacked wilds added to the reels during the free spin feature and this increases the chance of a win and if you are lucky it can retrigger to attain more bonuses. This particular have got exciting features that are pleasing to new players and casual ones as well. Its graphics and winning options are one to reckon as they are attractive to any enthusiastic player. The exotic bamboo forest tours filled with ancient riches gives the game a wild and attractive feel. You got a lair of giant pandas to rule the jungle. When it comes to betting, choose to play 1, 10, 25, 50, 75 or even a 100 lines. 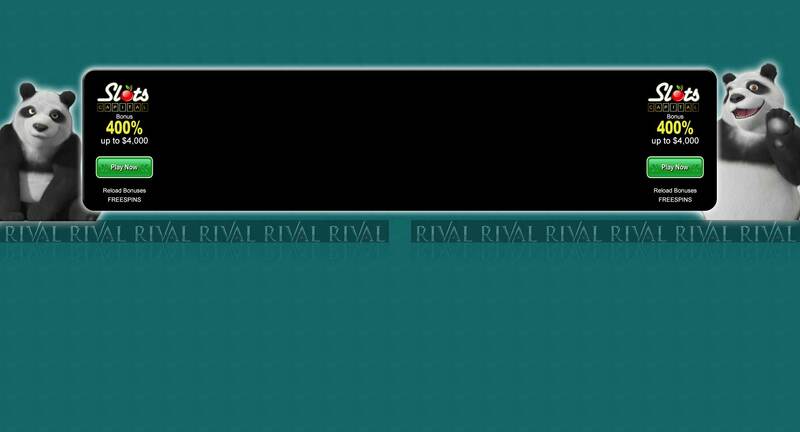 The line bet will display the current bet per line and will display this in your chosen currency. You can simply decrease the bet by pressing the left arrow or increase the bet by pressing the right arrow. When reducing the lines to bet, you click the left arrow as well and press the right arrow to increase them. After you are comfortable with the bets, press spin to run the reels and also submit the bet. There is the auto spin feature that plays the game automatically for a selected number of spins at the current bets and number of lines as well. After you have placed your bets on the number of lines you desire, select AUTO spin and state the number of spins it will make. It will play the specified number o times unless you change that by pressing the STOP button. Similarly, the auto spin can stop if a bonus is triggered or by any chance you have insufficient funds to run another bet. When it comes to the stacked wilds feature, each reel in the base game is loaded with 4 or more groups of consecutive wild symbols. You will find that the stacked wilds feature is richer and more plentiful in the free spins bonus. The free spins bonus is triggered by three bonus symbols in any position on the center three reels. You also get an award 2x the total bet you placed. The free spins bonus will give you ten free spins and more chances to win since it contains more plentiful stacked wilds feature than the base game. The bonus can be retriggered giving you ten more free spins. This can happen for multiple times up to a maximum of 255 free spins per bonus. The bet on the bonus is the same as the one on the reel that triggered the bonus. A 100 pandas is no doubt a game to consider participating in considering the quality graphics and sound options it delivers. You can control the modes to play it in and this will affect the quality of the game as well. If you choose the BEST mode, the graphics will be at their best but this might affect the performance. When playing in HIGH mode, there is a balance between graphics and performance, and in most cases this is the default option. However we still have the Medium mode and the LOW mode. In medium, we see an increased performance at the expense of a lower quality of the graphics while in the LOW mode you will find that the graphics are degraded but the performance is entirely maximized; you will have smooth animation which will be a good option for slow computers. Anyone can win in this game since no prior skills are required to increase your chances of winning. It is recommendable for novice players and to those who are looking for fun as well.